The biennial Dubai International Motor Show is always a huge event, showcasing the very latest vehicles and automotive technology to industry figures from around the world. Members of the GForces Dubai team were amongst selected visitors to attend the exhibition’s preview, viewing a host of exciting new technologies as well as enjoying some of the more lighthearted exhibits! General Motors Middle East is one example with their accessories visualiser on display. Powered by GForces’ NetDirector® Experience technology, visitors to their GMC stand can personalise a Sierra with approved accessories in real time. 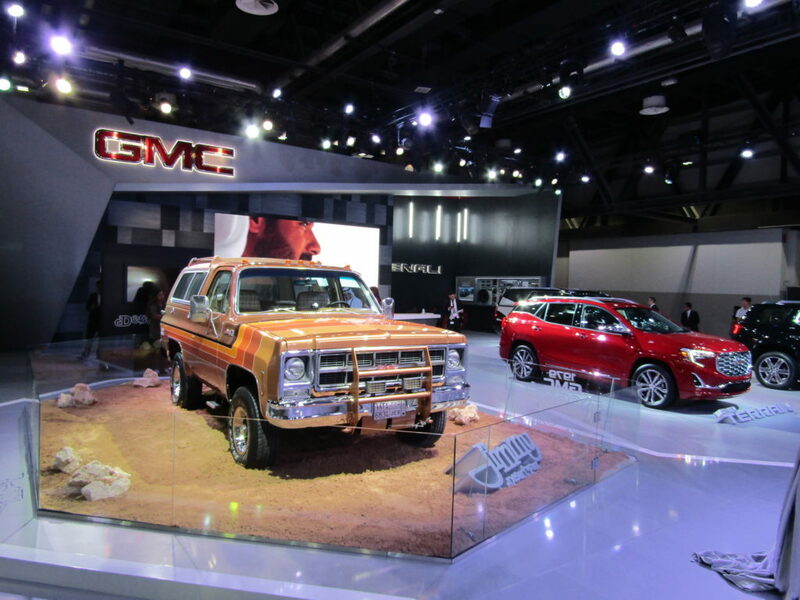 And for real GMC fans, they’ll be able to take a trip down memory lane with a very special new Sierra Desert Fox on display. One of two vehicles built specifically for the Middle East market, it pays homage to the 1979 original – an example of which has been fully restored to its former glory after nearly forty years. A painstakingly renovated 1979 GMC Sierra Desert Fox. The Dubai Motor International Motor Show therefore presented a great opportunity for GForces to meet our clients, and see how their products (and ours) are embraced by the car-mad crowds. 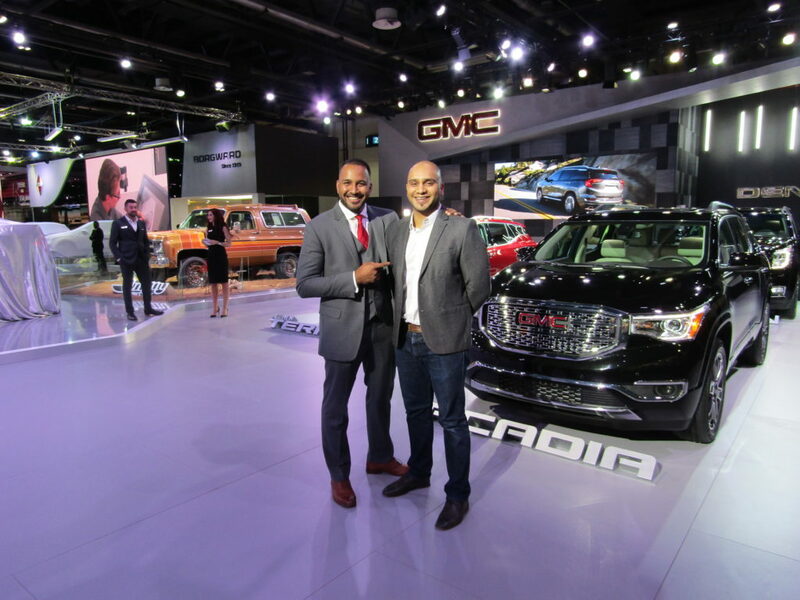 Martin Victor Alva, Digital Marketing Experience Manager for General Motors, with Irfan Ali, GForces Account Director for General Motors. In a region where the world’s greatest super and hyper cars meet, the Dubai Police need the speed and style to match. One of the latest additions to their rather exclusive and unique fleet is a Rolls-Royce Wraith – perhaps the only police vehicle you’d ever be happy to end up in the back of. 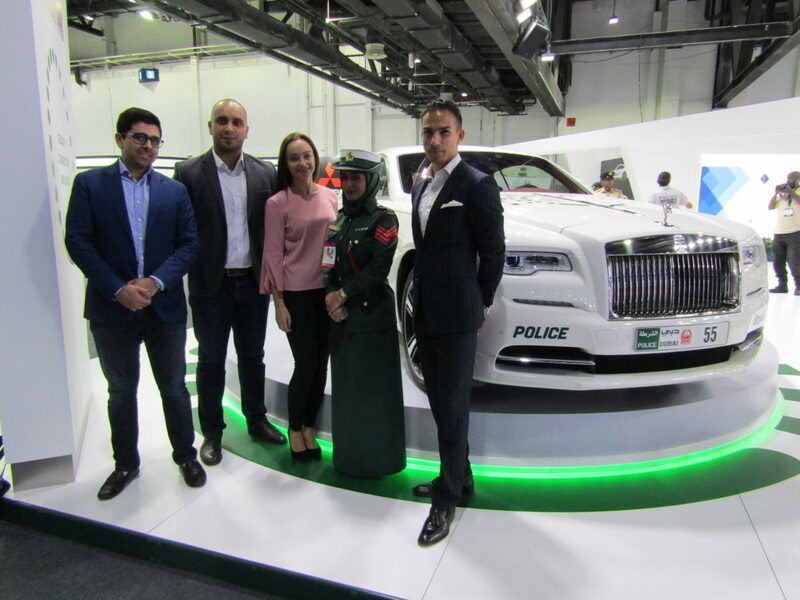 Behaving extra well in front of a Dubai police officer (and a beautiful Rolls-Royce Wraith used by the local police). But if you’re behind the wheel of the Corvette ZR1, there’s a good chance you’ll only ever see the aforementioned Wraith in your rear-view mirror. As the fastest Corvette ever made, it boasts a top speed of 210 mph and 755 bhp. It will also be the last front-engined Corvette to be produced, marking the end of a very long era for this iconic sports car. 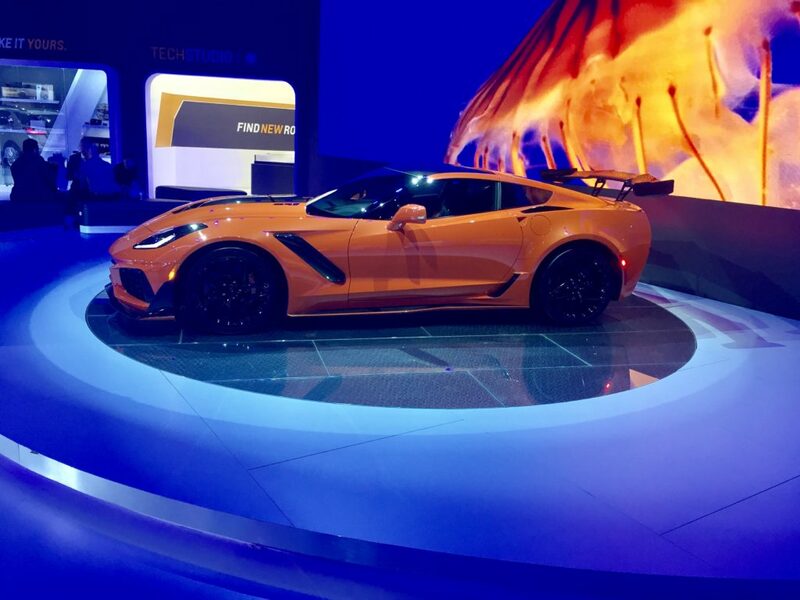 Corvette ZR1 – world’s fastest Corvette, and the last front-engined version. The Dubai International Motor Show is also where Lexus have chosen to launch their flagship LS500h model. You can also explore the LC500 coupe through NetDirector® Experience here. In fact, the 2017 show really does have something for everyone. 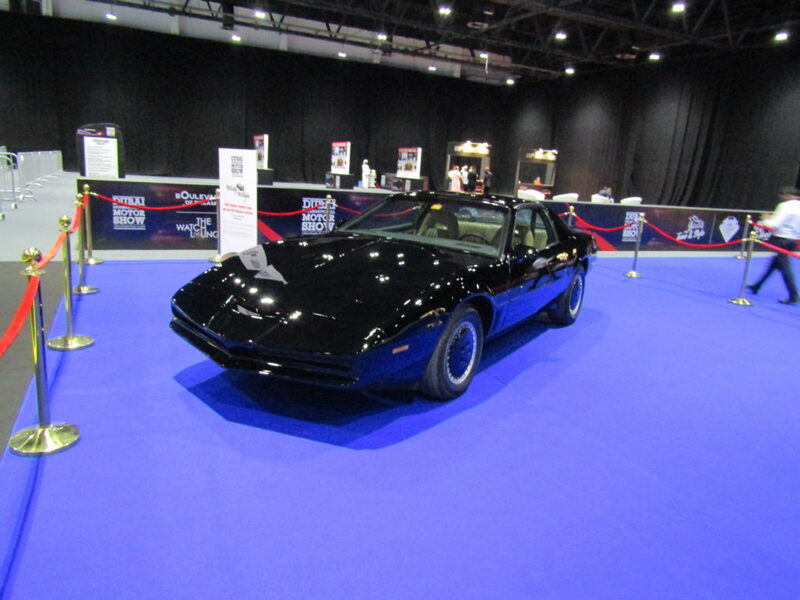 Including an awesome example of KITT, also known as the Knight Industries Two Thousand, and Michael Knight’s famous talking side-kick Trans Am from the 80s hit show Knight Rider. Self-driving cars? They’ve got the original one here at the Dubai Motor Show. We’ll be bringing you an update and overview of the show later in the week, but for now we’ll leave the closing words to Asim Husain, GForces’ Regional Managing Director, from our Dubai office.